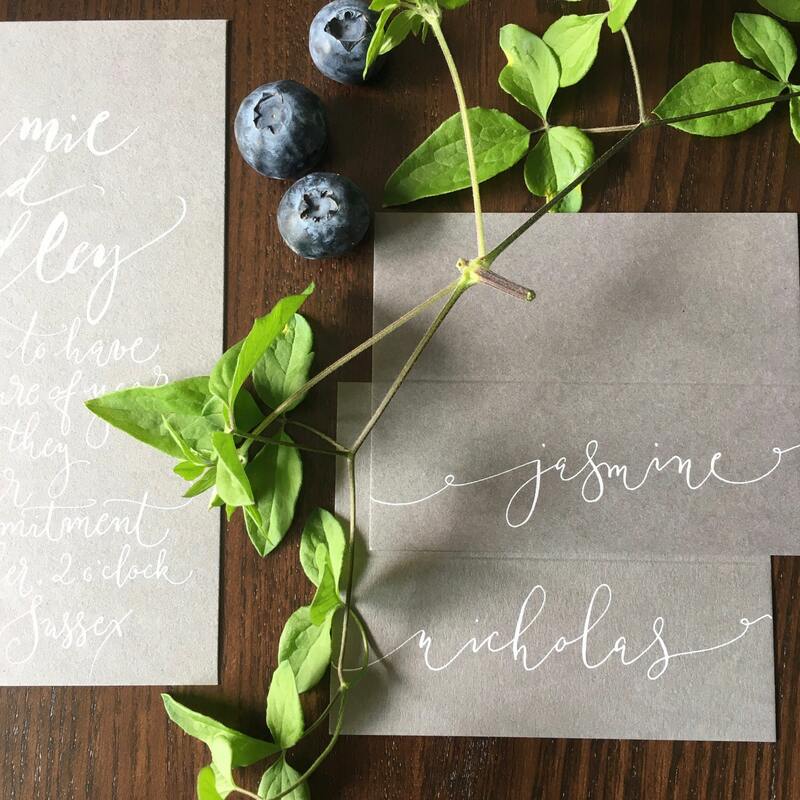 Pretty, romantic handwritten wedding place name cards in modern calligraphy with plenty of curves and curls! 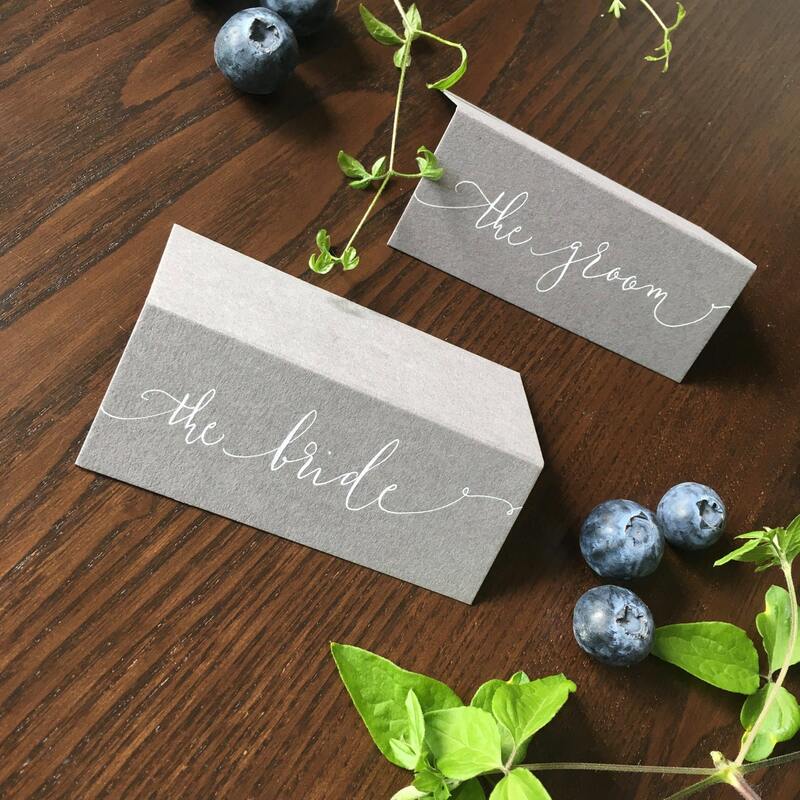 Pretty calligraphy on mid grey place names - the perfect finishing touch for your elegant wedding tables. 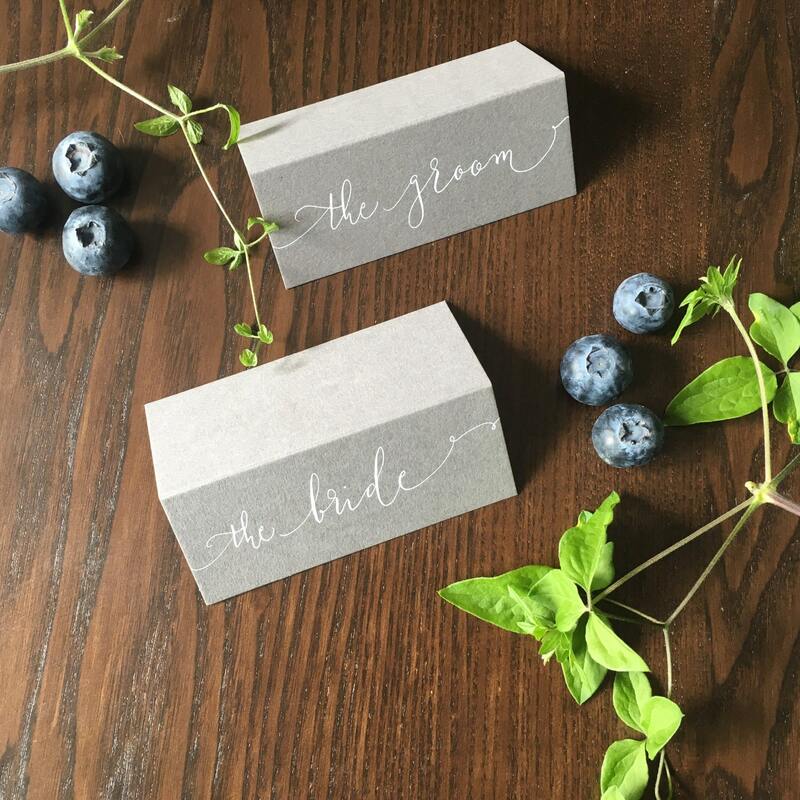 Ordering is simple - just send your guest list as a 'note to seller' when you place your order. Convo me with any queries and I'll be happy to help! 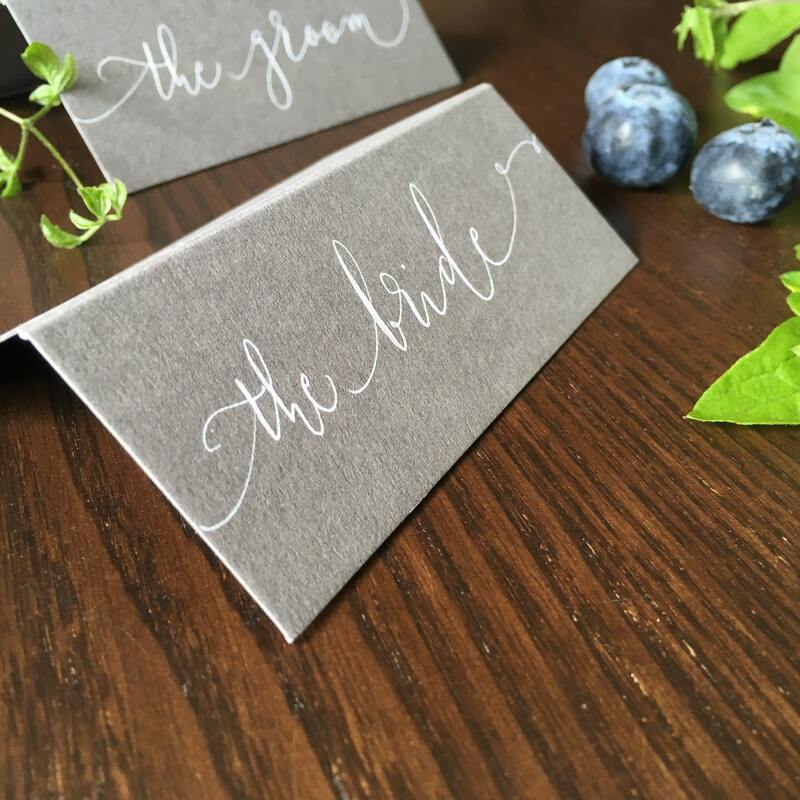 Matching items available include invitations, envelope calligraphy and handwritten menus.